In our previous chapter: We see team Neji heading in the cicada forest, searching for the Bijuu-mesmerise scroll. But unexpectedly they meet up with foes. Neji confronts Deidara who has come to retrieve the scroll on Pain’s orders. Sakura, Sai, Lee confronts Orochimaru and Kabuto in another part of the forest, whose intentions are not yet known. The thrilling adventure continues. 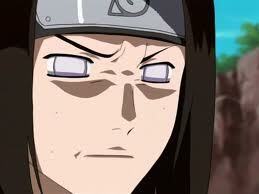 Neji: I should be careful not get too close to those explosives. Deidara: (Prepares small clay grass hoppers in his hand and throws them to Neji) take this! Neji jumps up and dodges them. The grass hoppers jump on the ground and go towards Neji. 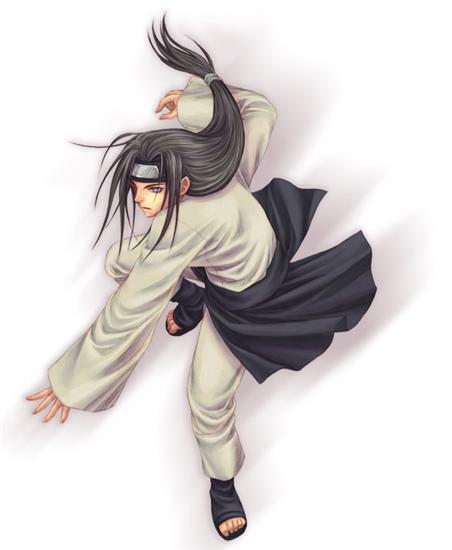 Neji lands on the ground holding his right arm. 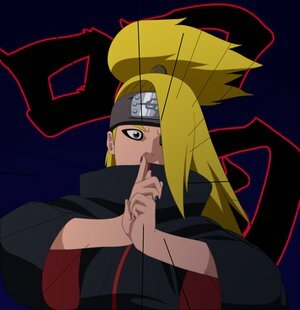 Deidara: It seems you dodged my attack with minimum damage. But still you don’t stand a chance against me. Mhmm. Easters part of the cicada forest. Sakura: haaa!! (charges towards Orochimaru with a chakra charged fist and throws a punch towards his face). Sakura hits the tree behind Orochimaru and causes it to crash and fall. Sai: (Draws a viper in one of his scrolls) Ninpou: Choujuu giga!! Orochimaru: (Opens his mouth revealing the sword of kusanagi which cuts the vipers into two pieces ). Sakura: I am not done yet! (punches hard into the ground and cracks it thus disbalancing Orochimaru). Sai flies towards Orochimaru with his short sword Orochimaru jumps to the nearest tree. 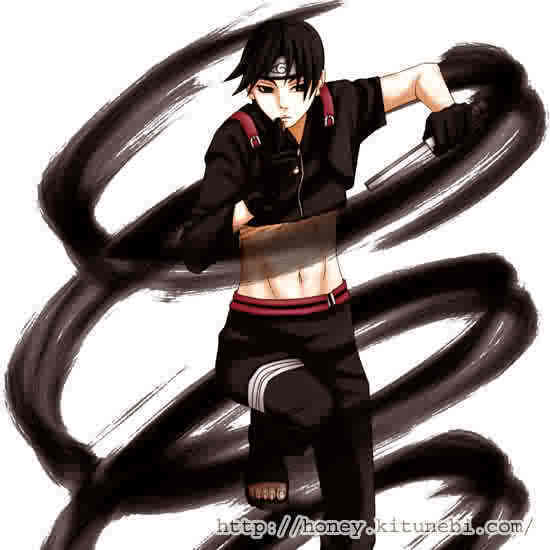 Sai jumps to follow him. But Orochimaru elongates his neck to block Sai’s attack with his sword of kusanagi held in his mouth and then thrusts it towards Sai by jumping towards him. Sai jumps back while Sakura comes to the spot and punches Orochimaru in the face. Orochimaru flies and crashes into a tree. Orochimaru’s body turns black and melts away. 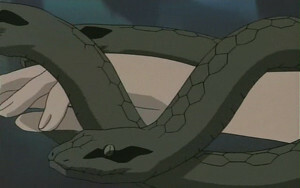 Orochimaru: Se’e Tajashu (snakes appear from behind Sakura and Sai and bind them and raise from the ground). Orochimaru: Hehehehe. Wonderful. I love the way you fight. But I don’t have any more time to waste. 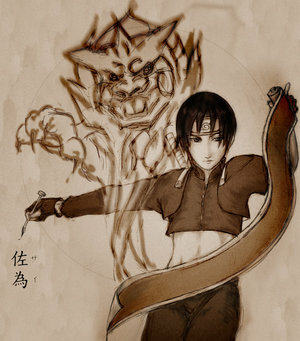 (Snakes bind Sai and Sakura harder and harder. Sai and Sakura reaches the verge of unconsciousness. 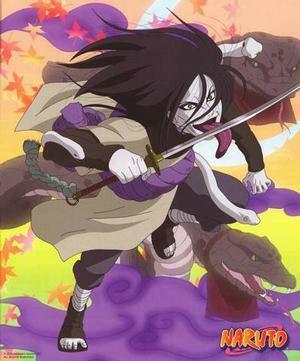 Orochimaru spins and throws them away into the forest with fierce strength). Kabuto, I will head on, come when you’ve finished off these miserable lowlives. Lee: (Falls and rolls on the ground. And is unable to stand up properly). Kabuto: You can’t even stand. I guess fighting is out of the question. Then it’s better that I give you a fitting death. (prepares the mystic palm technique and approaches Lee). Kabuto traces the path Orochimaru followed and goes away. Southern part of the forest. 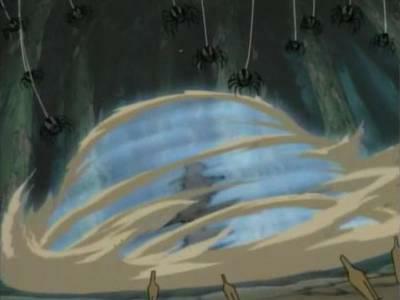 The spiders are blown back towards Deidara. Deidara: Good thinking, but I am afraid that using my technique against me won’t be of much help to you coz they don’t explode unless I have used my charka. Mhmm. 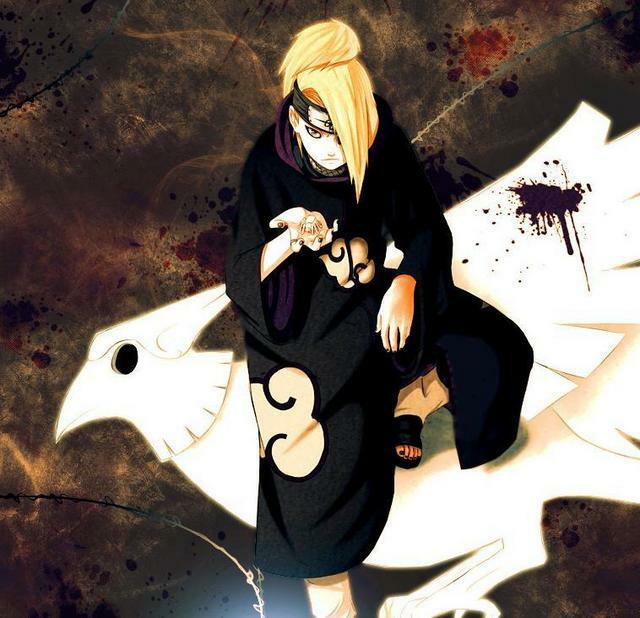 Deidara throws a bird towards the Neji, which explodes dissipating the kuushou. Then he takes several spiders and throws them into the ground causing a huge explosion and a smokescreen. Neji: Its pointless. My eyes can see even in this smoke. ( sees the figure of Deidara. The eight trigram seal opens beneath his legs). Hake hasangeki! 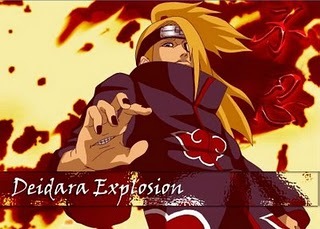 A huge thrust of air proceeds towards Deidara and penetrates him. Deidara starts to glow slowly incandescent. Deidara: (comes above the ground.) Didn’t see that coming did ya? But I have to tell you, you are one smart cookie. If you hadn’t used that defensive technique of yours at the nick of time. You would’ve been a goner. Why don’t you rest a bit, when I get the scroll I’ll fight you again. Mhmm. (creates a huge clay bird and flies away). 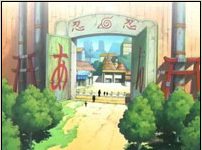 Konoha entrance. Neji, Sakura, Lee waiting for Sai. Sakura: It’s very unusual for Sai to be this late. Whats taking him so long? Lee: Maybe Sai-kun forgot about this mission. Neji: It’s quite unlikely actually. We shouldn’t forget that he is a former ANBU. Sai: Sorry I am late. Sakura: (Angry) You’re 20 minutes late and that’s all you have to say?! Sai: I was lost in my latest book (Holds it up – how to be fashionably late). Neji: Enough both of you. Now that Sai is here I’ll go over the details of the mission. Tsunade-sama has asked me to tell you this before we leave. In the forest near the Village hidden in rocks, is an ancient shrine which contains a scroll carefully sealed away. Our hokage has made it very clear that this scroll is of utmost importance as it contains information on controlling the Bijuu. It’s clear that Akatsuki will come after this scroll. But it is our job to get it before them if they haven’t gotten it already. Sakura: Then we have to get it back no matter what. Lee: Don’t worry Sakura-san we will definitely get it back. Sai:…But if it’s that important then the shrine must be heavily protected. Neji: Don’t worry Tsunade-sama has given me a special password which can get us through the barrier. Lee: Then let’s head out at double, no make it triple our normal speed! Sakura: Uhmm….Lee-san we really don’t have to go that fast. Neji: No sakura . I for once believe that Lee is right. If Akatsuki is after the scroll then we have to get it as fast as we can. Orochimaru: Kabuto. I wish to go on expedition today and I want you to accompany me. Orochimaru: That is precisely why I want you to accompany me. I have to do this and I can’t entrust this to anyone else. Its troublesome but there’s no other way. Kabuto: As you wish Orochimaru-sama. Hidan: Why the heck did you call us here. We were busy chasing after that Jinchuuriki ya know? Pain: Its urgent. I have received information about the Bijuu-mesmerise scroll and that its located in the cicada forest near hidden rock village. I have summoned you hear to inform you of this and to tell you that I have decided that Deidara will be the one to go and bring this scroll to me. Tobi cant accompany him because I have sent him to do another mission. Deidara: Thank goodness. My head wouldn’t hurt for his rambling for once. Mhmm. Zetsu: Konoha shinobi are already heading towards it. Four of them. Pain: Dismiss for the time being. Let us meet again after this mission is completed. The hazy projections off all the members disappear. Cicada forest. Team Neji proceeding fast jumping from tree to tree. Neji: Byakugan! We are close. I can sense a powerful barrier 250 meters ahead of us. Sakura: We reached it rather quickly. Lee: See my idea was good after all. 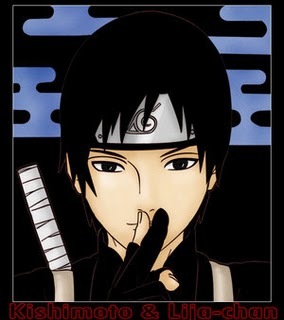 Lee: Sai -kun is something the matter? Sai: Listen everyone. I think it would be better if we split up and search the surrounding area first. Sai: Well for one thing the enemies may ambush us just when we open the barrier. Wouldn’t it be better to take them out before opening it. Even if there are no enemies it would still be better to check out the surroundings just to be on the safe side don’t you think? 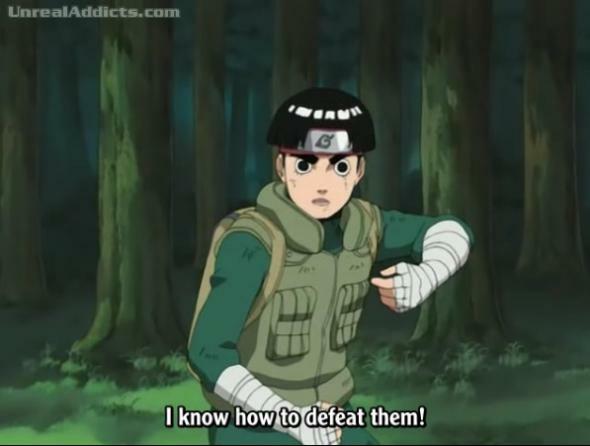 Lee: Sai-kun does have a point. Neji: Very well then. Lee take the north-west direction. Sakura take the north-east direction. I will take the south, southeast and Sai take care of the rest from the sky. Sai: (Takes out scroll and quickly draws a bird on it) Ninpou: Chojuu giga. (Flies away). Eastern part of the forest. Kabuto: We should be there by now. Kabuto: (Also looks up) I see. I never expected Konoha to be interfering with this. Orochimaru: Hehe. We do not have time to waste thinking over those Konoha weaklings. Let us confront them and crush them like the bugs they are (Licks his lips). Neji: Byakugan! (Sees Deidara approaching from the south). I don’t time have to inform the others maybe I have to confront him on my own. 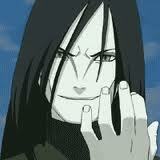 Orochimaru: My my what pleasant surprise. Isnt it the double agent from last time? Orochimaru: Hehe. I would like to punish you for the last time. But I don’t have time. So I’ll just kill you and be off. 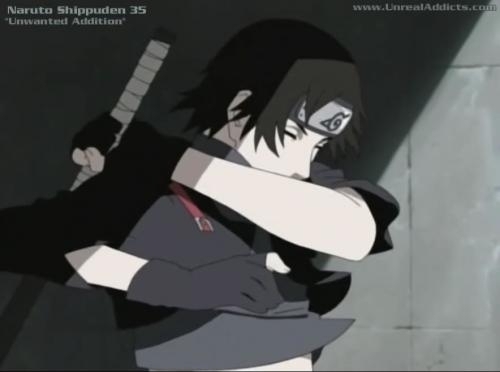 A kunai flies out of nowhere and cuts off the head of the snake binding Sai. Sakura and Lee come into the scene. Sakura: are you alright Sai? Lee: Long hair, snake like eyes, you must be Orochimaru. I have been dying to fight you and now I get my chance finally. Sakura: Lee-san don’t. you have no idea how powerful he is. 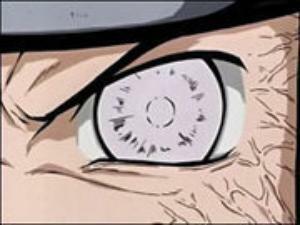 Kabuto: (Appears in front of lee) And you think I am just going stand and watch you attack Orochimaru-sama? Lee throws a punch at Kabuto’s face. Kabuto dodges it. Lee follows it up with two kicks and three punches. Kabuto back flips and dodges them all. Lee reaches Kabuto up front while he is off balance from his flip. Kabuto blocks the first kick but is hit by the remaining three. He is knocked off his feet. Kabuto: I see you have grown much stronger than the last time we met. 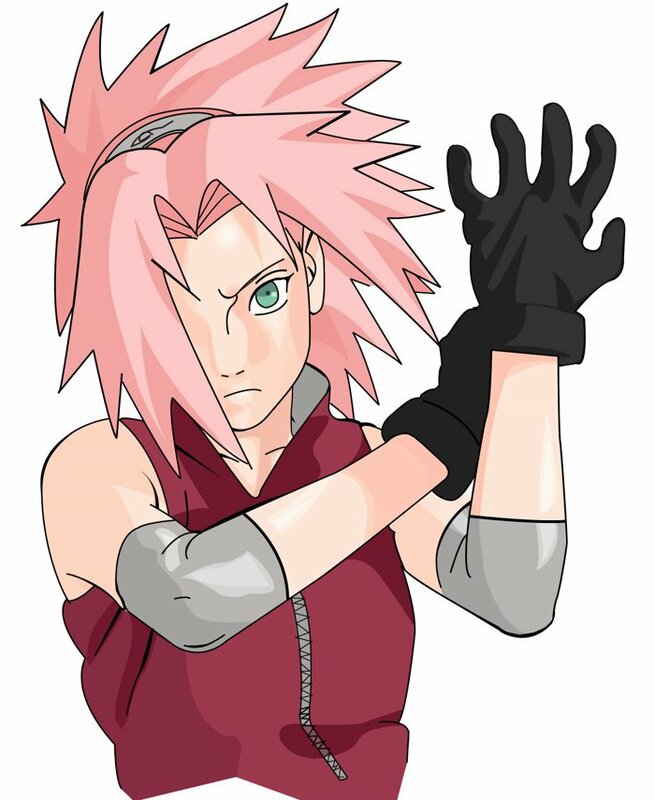 Sakura: Now then Orochimaru (Wears her black gloves) tell me where is Sasuke-kun? 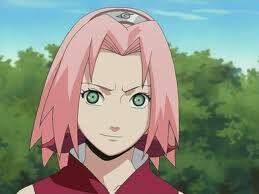 Sakura: Or I’ll this. (Punches in the ground making a large crack and sending rocks flying into the air). Orochimaru: Hehe. So you’ve been training under Tsunade eh? Well if that’s the case then I am afraid you wont be doing much against me. 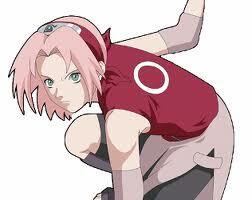 Sakura: lets do this Sai. Deidara: (I thought those Konoha pests would have arrived already so that I could have some fun before I get the scroll. Let’s see if I can meet them in the shrine). 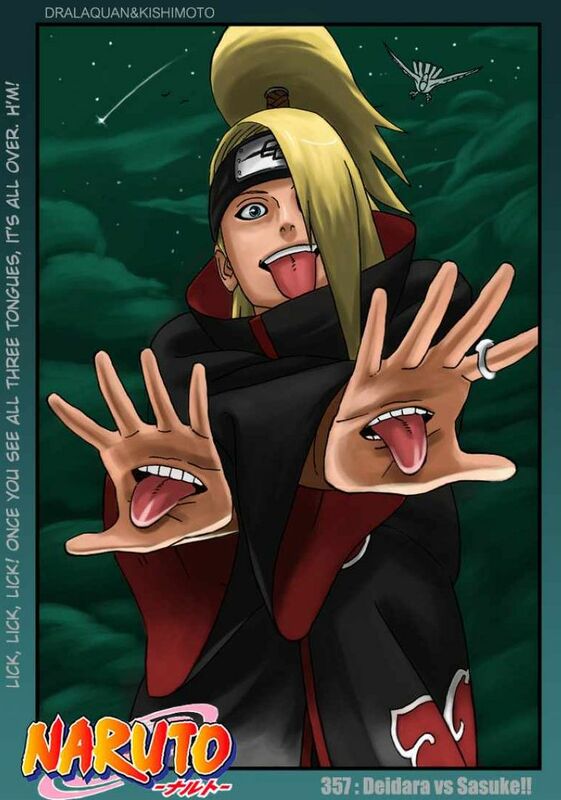 Deidara: Finally some entertainment. I was beginning to feel that I shouldn’t have come on this mission. Mhmm. Deidara: Then let’s begin shall we.